How many Chelsea fans want Guus Hiddink to stay? 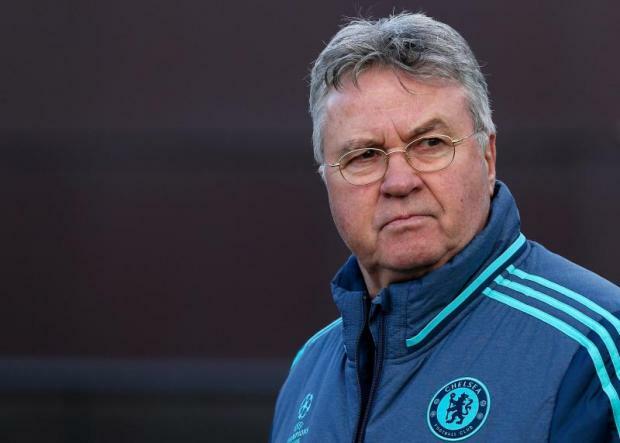 At the second time of asking Guus Hiddink has come in and steadied the sinking Chelsea ship. The players are talking of him staying but I want to know just how many of the Chelsea fans would like to see him stay after this season? I ask the question because it seems that for the man himself, he is too old and there is too much pressure. At 70 years of age he is now focused on retirement with Chelsea being his final swan song despite being asked on numerous occasions about the possibility of staying. "If you speak to the players, 98 or 99 per cent of them want Guus to stay so I mean, we are very happy, we are performing well and let’s hope this continues. Obviously, definitely, I want him to stay. It is the choice of the owner, the club and the board. They will have to decide. It depends on the board and it depends on Guus if he wants to continue. He has said that he is here until the end of the season, but you never know, he might change his mind. If the club want to appoint him, fair enough. His record speaks for itself. Let’s hope he stays. From day one, since Guus has come in, the atmosphere has changed. He has given responsibility to people and expects them to thrive on it and make sure they do it in a way where they feel comfortable. I think that is what the players are showing, now. When you come into the training ground, he doesn’t get into people’s business, he gets on with his own thing and players feel very comfortable and know exactly what to do so when he gets on the training pitch, he doesn’t need to speak. We all know what he wants and it is the same when we go into a game. We get on the pitch and know exactly what he wants. He doesn’t stand up that much to speak, but we know exactly what he wants. "Four months ago Roman Abramovich made a decision for the good of Chelsea. He sacked Scolari. He could see our club had taken a turn for the worse. He could see the level of performances dropping, our title challenge fading away and above all else our Automatic Champions League Qualification hopes fading too. He asked an Old Friend for a favour to come and steady Chelsea's ship and ensure we got our house back on track. Not alot of us really knew Guus Hiddink when he first took over at Chelsea. Of course we all knew his name, and his reputation. I am sure there were people that thought he would do well for Chelsea, but the majority maybe wondered what he would be able to bring to the Club in such a short space of time. As he sat next to Roman Abramovich for the first time against Watford and watched as Ray Wilkins took charge for the game who would of thought we would be anywhere near where we are today? Honestly, how many of you thought we would be here now? The most important thing for all of us to remember is that the transfer window was closed so he HAD to work with with what he was given. He had to work with a squad that Scolari failed to motivate and to gel. He had to look at the players, each and every single one of them and decide quickly how he would approach his first game away at the high flying Villa. Apart from one blip under Hiddink (at the worst place possible) the side took to Hiddink quickly and they began to believe and to play. Drogba was like another person. Malouda found his form and generally everyone picked up their game for Hiddink but most importantly of all, for each other." Ring any bells at all at the moment? It's staggering really but all we can do is credit his approach to the game and to man management from the outside because let's face it, that's all we can go on really. We get to hear bits and pieces from people such as the quote from Mikel above but you just look at the players now and the way they are playing and it's obvious he is an outstanding manager. He has everyone playing for him and for each other. Pedro in particular finally looks like the player we used to admire from afar playing at FC Barcelona, Cesc Fabregas is playing as he was last season with the addition of his best defensive performance in a Chelsea shirt last week at PSG and Diego Costa has put all the drama and histrionics to one side to concentrate on exactly what he is paid to do and has rewarded Hiddink with nine goals in twelve games! 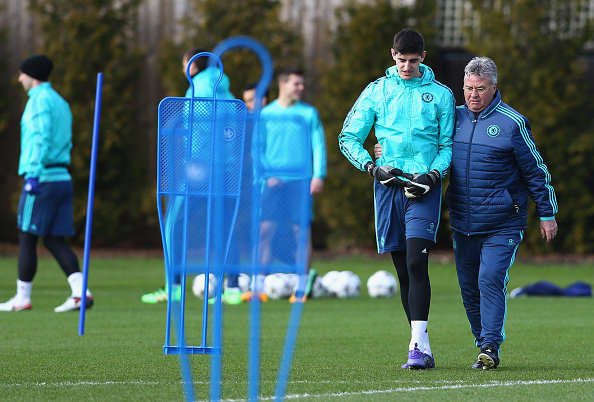 With Hiddink there is no bad word to say and we never expect to hear the same from him. Such a calm, good natured man that gets on well with more or less everyone. He speaks well, his is very wise and honest which sits well with the press and the supporters because he doesn't seem to hide away from anything that is directly related to him if asked in one of his press conferences. Do you think it's time to sit back and take stock of what we have in Guus Hiddink for a change rather than some of these other managers that for most, have never managed in the Premier League? He knows the club, he knows the League, the players and most importantly of all our football. Why not give him a rolling contract like we do with players over 30? He wouldn't be tied down and would be free to call it quits if he feels that he isn't up to it but if anything, you look at him now and you can see the passion for the game and the hunger is still there. So come on Chelsea fans! Post your comments on here, I want to read as many as possible so post even if you haven't done before. 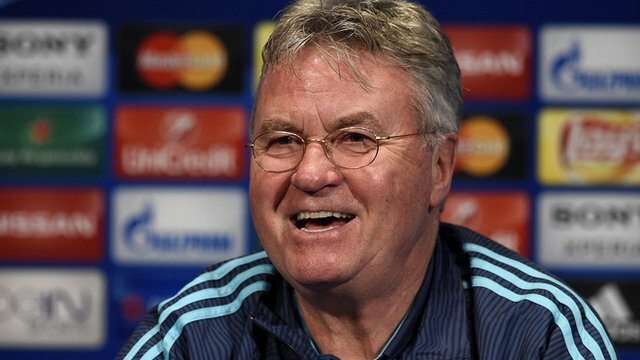 What's your view on Hiddink? Do you want him to stay?